This optic has about ~200 rounds on it. I threw the box away when I moved about a year ago, but still has everything you see in the picture including the sunshade and flip-up covers. I bought it "LNIB" from another user on this forum ~2 years ago. 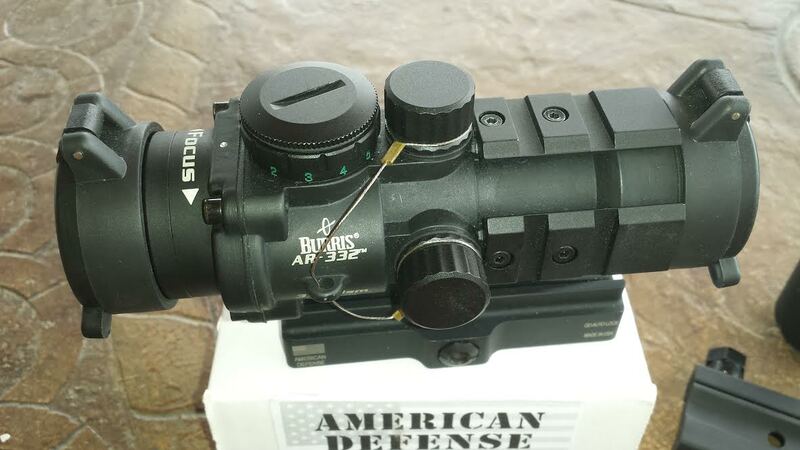 When I bought it, some of these had a very slight cant of 3-5 degrees on the sight reticle; if it does have one, I can't tell. 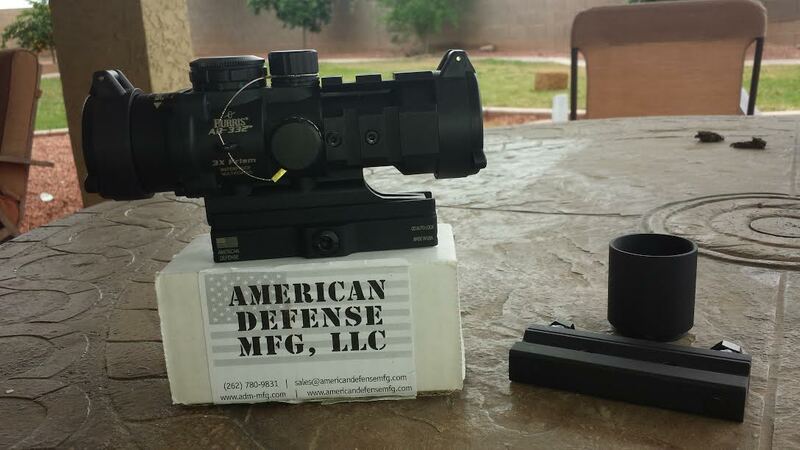 Optic is currently on an American Defense AD-B3 Quick detach mount, however original mount will also be included. At this time, the mount is not for sale separately, but may be depending on buyer's mount preference. Only relevant mark on it is on the top adjustment where the battery goes, which you can see in the pic; other than that, it has some dust on it. Payment will be via discreet paypal; shipping USPS priority with tracking. If you will accept a USPS money order for payment.